Not all undergraduates are able to take their studies to the next level due to financial factors, time constraints and more. Before deciding to pursue a graduate study, you have to consider and prepare a lot. The following tips will help you to prepare for your brand new, graduate life! President of three clubs, speaks five languages and volunteers at the animal shelter every weekend. Everyone loves a good CV. But only a great one will get you in a graduate school! A great one will have a PERSONAL statement, not an OBJECTIVE statement. The latter is too immature, so we use the former. This statement is basically like a cover letter to your CV. Explain what you want to do with your career and elaborate it throughout your resume. Three other points are also worth revisiting: work experience, volunteer work, and interests. For work experience, remember that you can’t just list your work experiences: prove it with your personal statement to sell it! Next, for volunteer work, it’s basically like a research: if you don’t have any, well then start already! Finally, the interest column is where you can give your personal touch to your CV; make use of it wisely! Your graduate life will depend on it! Remember that studying in your graduates are different from your bachelors. The level of difficulty’s certainly gone up a notch. That is why before taking your graduates, you’ll need to do your mental prep. A strong mentality lets you overcome the possible hardships and pressure to come! Remember to always make time for yourself and never bite more off than you can chew! The thing that you have to prepare the most are financial stuff. 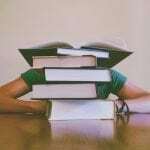 Graduate studies require a not-so-little amount of money; in fact, sometimes a year costs more than all your bachelor years combined, especially if you choose to take it outside of town or overseas. Think your money matters thoroughly through, from your school fees to living costs, to just some extra cash to treat yourself. I would highly recommend to start saving up from your bachelor’s onwards; that way you won’t suffer during your graduate years! Also, make use of the loans that are provided either by the government or local banks! Remember that each loan provider has different conditions and rates of interests when handing out loans! Not all graduate schools will interview you before finally accepting you as a student. In the event that they do, just take a deep breath and chill. Don’t panic. Always prepare yourself and tell the interviewers about how enthusiastic you are for the graduate program you’re taking; also, justify your interest in the major. Remember that although your talent (in this case GPA) will get you in the door, your character will be the one to keep you in the room! The right graduate major leads to your dream job, which in turn will lead you to a happy life! This is a theory that I came up with when my cousin tried to decide on his Graduate major. He was contemplating on whether he should further his studies in Mathematics, switch it up to Law, or do Accounting. This is where the theory comes up. I told him that choosing the right major for his graduate years will lead him to his dream job. This dream job is placed in between a triquetra : the major that he loves to do (Law), the major that he is good at (Mathematics), and the major that will pay well (Economics). His dream job lies in the centre of it all. When I told him to choose a major that contains either two or all of his chosen subjects, he looked gobsmacked; he told me that there was no such combination of degrees between Mathematics, Law, and Accounting. Well, some universities actually offer double degree programs for either Math and Accounting or Math and Law, or even combinations of the three. I told him that though he can’t have all the subjects, he should at least pick the ones he thinks are the most important to him. What are you waiting for? Follow these tips and you will be prepared for your new graduate life in no time! For other tips and tricks and just plain helpful insights in all what’s education, make sure to check out our education section in our College Life magazine!